Lynda.com совместно с Деком МакКлелландом выпустили ВТОРУЮ часть (их будет, как обычно, 3 штуки; по нарастающей сложности) видеоуроков серии One-on-One. На ярких примерах разбираются продвинутые возможности новой версии Photoshop CS5: слои, кривые, размытие, маски ... все это будет наглядно разъяснено и разжевано!!! Итак, 247 уроков в формате mov, общей продолжительностью более 26 часов (и 2,5 гигабайта учебных файлов! ), прояснят для вас многие тонкие вопросы по Photoshop CS5, слабо отраженные в научной литературе! 1, 2, 3, 4, 5, 6, 7, 8, 9, 10, 11, 12. In five movies, author Deke McClelland covers five of the most important new features in Photoshop CS5 and shows how these powerful functions can be integrated into workflow immediately and efficiently. 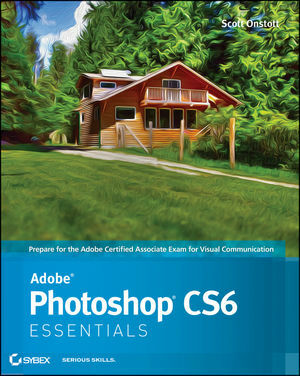 Photoshop CS5 Top 5 starts with the small stuff—the Straighten button, the Mini Bridge, and content-aware fill—then builds up to powerhouse features such as High Dynamic Range (HDR) Pro, the new Refine Edge command, and Puppet Warp. The course winds up with a demonstration of how to use the bristle and mixer brushes to convert a portrait photo into a hand-drawn painting. 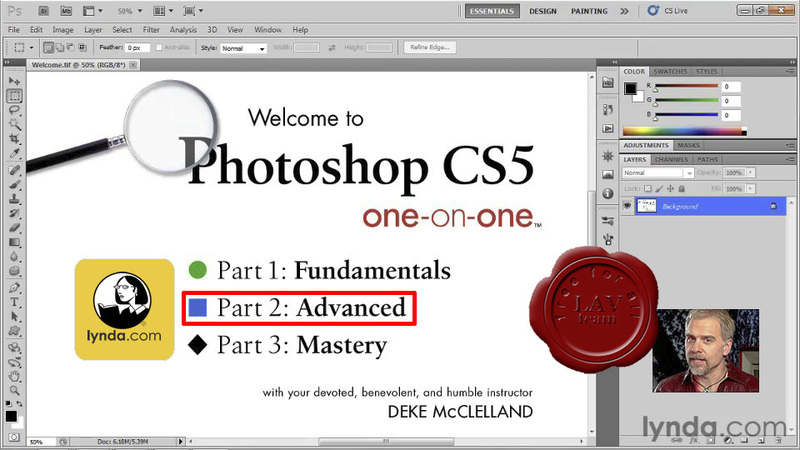 In the end, we hope you'll feel inspired, empowered, and ready to take on Photoshop CS5. 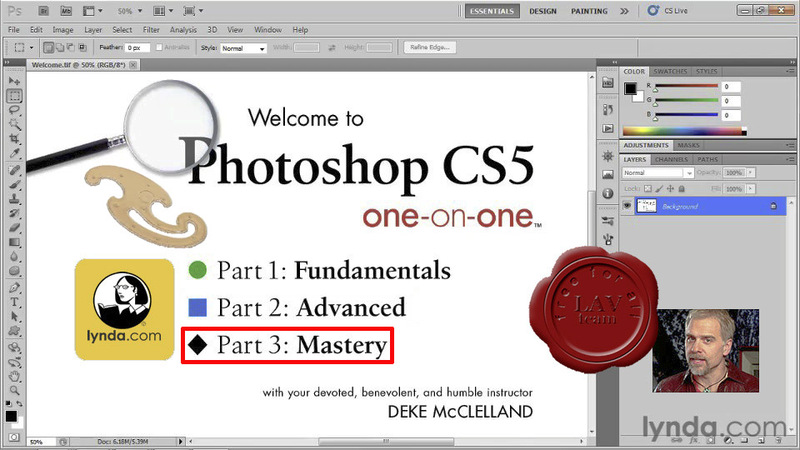 In the all-new Photoshop CS5 One-on-One: Mastery, the third and final installment of the popular series, join industry expert and award-winning author Deke McClelland for an in-depth tour of the most powerful and empowering features of Photoshop CS5. Discover the vast possibilities of traditional tools, such as masking and blend modes, and then delve into Smart Objects, Photomerge, as well as the new Puppet Warp, Mixer Brush, and HDR features. Exercise files accompany the course. 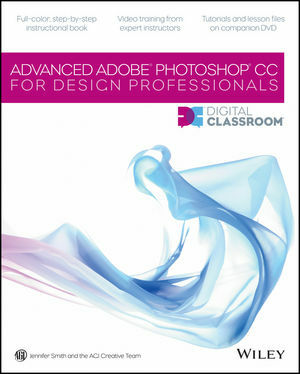 and Photoshop CS5 One-on-One: Advanced. Lynda.com совместно с Деком МакКлелландом выпустили ТРЕТЬЮ, заключительную часть видеоуроков серии One-on-One. На ярких примерах разбираются продвинутые возможности новой версии Photoshop CS5: слои, кривые, размытие, маски ... все это будет наглядно разъяснено и разжевано!!! Итак, 192 урока в формате mov, общей продолжительностью более 20 часов (и 4,3 гигабайта учебных файлов! ), прояснят для вас многие тонкие вопросы по Photoshop CS5, слабо отраженные в научной литературе! Photoshop® Top Secret™ is an Extreme Photoshop Training Course that teaches you, step by step, how to create cutting-edge graphics and special effects with Adobe® Photoshop®.  This student-friendly home study course includes four DVD-ROMs with over 16 gigabytes of video tutorials and project files. It also comes with a full-color gallery book (printed, not pdf) that shows the end result of each project in the course. You can look, learn, practice, and master these advanced techniques wherever you may be, without the need for expensive classes or tutors Movie Poster Design I Create a popular people montage seen on many movie posters. In this final installment of Photoshop CS5 Extended One-on-One, Deke McClelland creates a total of seven 3D type effects from scratch. This project-based course shows how to create and modify 3D type, craft hand-drawn effects, and design complex character extrusions. The course also explains how to color-correct and post-process 3D type in Camera RAW. Exercise files accompany the course.